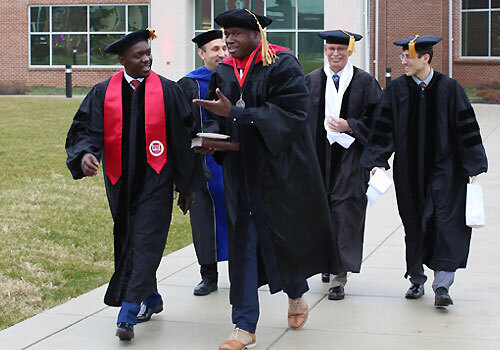 The Graduate School provides professionals a unique learning environment that integrates faith and vocation. Professional learning and personal growth are hallmarks of a graduate degree from Lancaster Bible College. Its faculty bring a wealth of academic credentials and real-world experience to each class. Coursework infuses the learner’s perspective into the learning opportunities to maximize understanding and to provide practical application. Graduate credentials are recognized by the appropriate state and national accreditors. Our graduates become transforming agents in their spheres of influence as they proclaim Christ through their professional endeavors. Provides individuals who possess a knowledge base in the Bible the opportunity to pursue an integrated program of study in the professional field of counseling. It further provides theological distinctiveness, contemporary scholarship, and professional counseling skills to serve within the local church, para-church organizations, and counseling centers to name a few. Students will receive comprehensive training in the treatment of mental health conditions through individual, family, and marriage therapy modalities. This degree leads to state licensure. 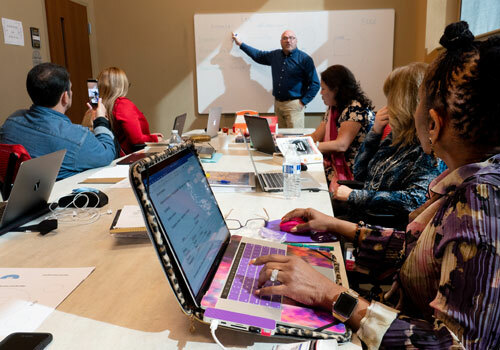 The Master of Education: English as a Second Language seeks to train students from a philosophical basis which reflects a biblical worldview to serve as teachers of English as a Second Language in public and private schools. In order to earn the MEd, each student must complete the professional courses and field placement for a total of 39 credits in the program. Additionally, students must show competencies in Bible and Theology by completing four 1-credit Biblical and Theological Foundation courses or through a transcript evaluation. In order to be eligible for a PA ESL Program Specialist Certification, the student must hold a current PA Instructional I or II certification in any area. The Master of Education: Special Education seeks to train students from a philosophical basis which reflects a biblical worldview to serve as teachers in Special Education in public and private schools. In order to earn the MEd, each student must complete the professional courses and field placements for a total of 39 credits in the program. Additionally, students must show competencies in Bible and Theology by completing four 1-credit Biblical and Theological Foundation courses or through a transcript evaluation. In order to be eligible for a PA Instructional I certification in Special Education (PreK-8), the student must hold a current PA Instructional I or II certification in Grades PK-4, Grades 4-8, Reading Specialist PK-12, or any PK-12 area. Can international students apply for a graduate degree? Select seminary and graduate programs are available to international students. Please contact international@lbc.edu for more information.